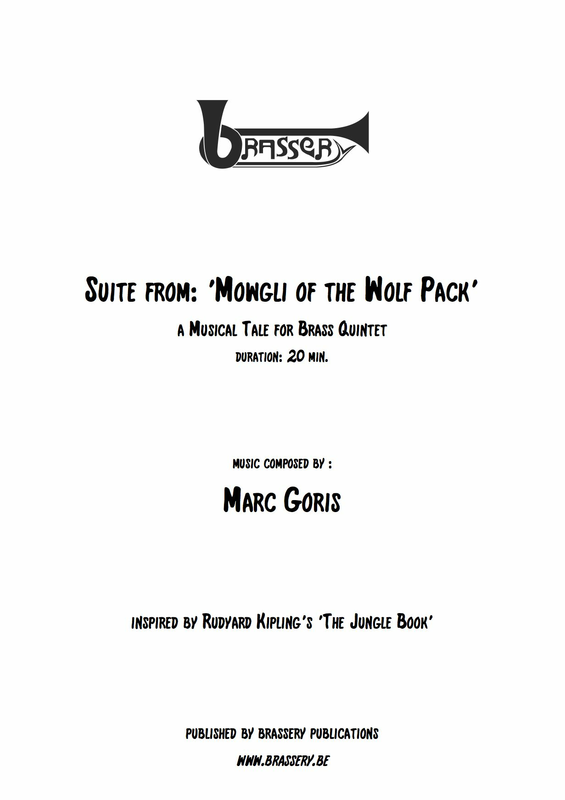 This suite from: 'Mowgli of the Wolf pack' for brass quintet, contains the musical theme's from 'Mowgli of the Wolf Pack', a musical tale for brass quintet and narrator (an English recording will be available soon). ‘Mowgli of the Wolf Pack’ narrates how a child, a ‘man-cub’ raised by wolves in a mainly hostile environment, becomes a young man. It is close to ‘Peter and the Wolf’, but the animals are fiercer, wilder and less predictable. The tale is exciting with flashes of comedy; it touches upon formation of character, learning how to behave in strange situations and how to handle fear. It is a tale of respect, coming of age and separation; it includes nasty youngsters and a wise panther. 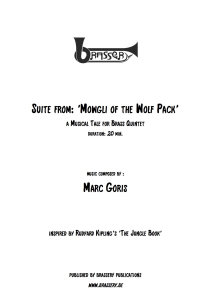 Due to the use of different styles of music, and the many solos for the different brass instruments, the suite from: 'Mowgli of the Wolf Pack' will be a challenge for every brass quintet.